Thank you for the opportunity to present testimony in support of LD 991, an Act to Amend Maine’s Genetically Modified Food Products Labeling Law, which would remove the trigger clause which currently prevents the labeling law (LD 718) from going into effect unless certain other states pass similar laws within five years. My name is Michael Hansen and I am a biologist at Consumers Union1 (CU), the policy and advocacy arm of Consumer Reports, which is located in Yonkers, NY. I have worked on the issue of genetically engineered (GE) foods for more than 20 years and have been involved in the decisions/debate about these foods at the state, national and international levels. We urge you to remove the trigger clause. There is new urgency for labeling of genetically engineered food. Two months ago, 17 experts from 11 countries, brought together by the World Health Organization’s International Agency for the Research on Cancer (IARC), unanimously concluded that glyphosate, an herbicide previously thought to be relatively benign by pesticide regulators, was “probably carcinogenic to humans” (e.g. Group 2A). This classification was based on limited evidence from case control epidemiology studies (which found a link with non-Hodgkin lymphoma in studies from US, Canada, and Sweden) and sufficient evidence from animal studies (2 studies in mice, 2 studies in rats). In addition, there was strong evidence for mechanism of action (or how glyphosate may lead to cancer), e.g. genotoxicity and oxidative stress. Of the 17 experts involved in this decision, two were from the US EPA, one from the US National Institute of the Environmental Health Sciences, and one was from California EPA The Chair of the Committee was Dr. Aaron Blair, who, prior to retiring, lead the occupational cancer unit at the National Cancer Institute for 30 years. This finding, that glyphosate is probably carcinogenic in humans, is important since the virtually all GE food crops have been engineered to withstand the weed killer glyphosate. As a result, as acreage in GE crops has expanded, so has glyphosate use. In the period between 1996 and 2011, during which GE crops were introduced into U.S. agriculture, herbicide use was greatly increased. In 1995 some 20 million pounds of glyphosate were used in US agriculture; by 2012 that figure had increased, more than ten times over, to an estimated 280 million pounds. This drastic increase in glyphosate use has almost certainly increased the residues on food. Although the USDA’s Pesticide Data Program doesn’t collect data on glyphosate residues in foods, one study that did look, published in the journal Food Chemistry, found glyphosate residues in all the samples of soy they tested, which were from ten different farms growing GE soy in Iowa. Labelling of GE foods would allow consumers concerned about potential residues to minimize their glyphosate exposure. Due to the new concern over the upgrading of glyphosate to “probably carcinogenic to humans” and to the US District Court’s decision on Vermont’s labeling law, we urge Maine to delete the trigger found in LD 718, to allow the labeling of GE foods in Maine. Thus, we urge you to pass LD 991. Consumers Union is the public policy and advocacy division of Consumer Reports. Consumers Union works for telecommunications reform, health reform, food and product safety, financial reform, and other consumer issues. Consumer Reports, a non-profit, is the world’s largest independent product-testing organization. Using its more than 50 labs, auto test center, and survey research center, the nonprofit rates thousands of products and services annually. 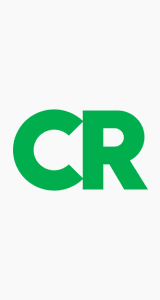 Founded in 1936, Consumer Reports has over 8 million subscribers to its magazine, website, and other publications. Guyton et al. 2015. Op cit. Benbrook, CM. 2012. Impacts of genetically engineered crops on pesticide use in the U.S.—the first 16 years.